Wednesday morning brought news that Lipscomb coach Casey Alexander is heading to Belmont to take the reins at his alma mater. Lipscomb is now tasked with a national coaching search to replace him. Associate Head Coach Roger Idstrom will serve as the interim in the meantime. Two of the top names being tossed around include Brian Ayers, a former Lipscomb player and current Belmont assistant, and Drew Maddux, an ex-Vanderbilt star and current head coach at CPA. 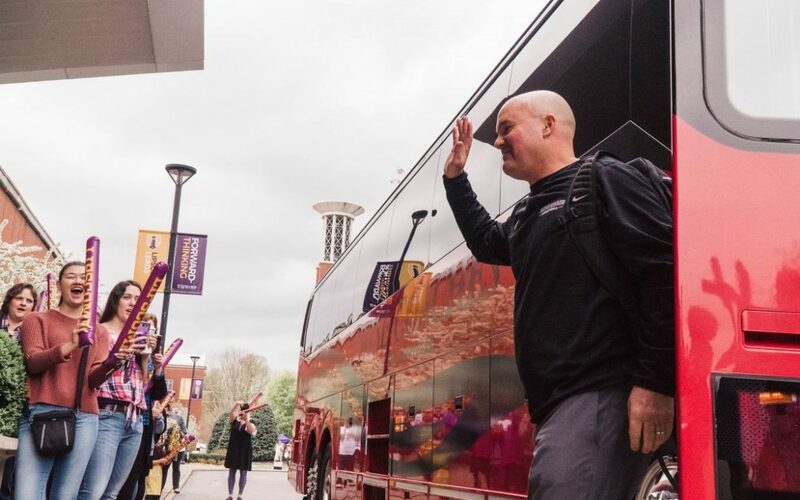 Athletic director Philip Hutcheson could look to others with Lipscomb connections or someone with college head coaching experience. Acuff’s resume speaks for itself, as he has turned UAH into a national power in the D-II ranks. He has a 437-214 record with the Chargers and a 554-325 overall record in 29 seasons as a head coach. His track record of success might interest Lipscomb. According to public records, Acuff earned about $180,000 at UAH for the 2017-18 school year. A D-I opportunity in Nashville would give him a salary bump and a chance to stay close to his hometown of Huntsville. As a Lipscomb alum with plenty of college coaching experience, Ayers figures to a natural choice. Stadium basketball analyst Jeff Goodman tweeted that Ayers could be high on Lipscomb’s list Wednesday morning. Ayers graduated from Lipscomb in 1993 and was an assistant at Lipscomb Academy for the 1994-95 season. He was later on the staffs at Austin Peay and Vanderbilt before joining the Bruins as an assistant in 1998. If Ayers wants to be a head coach, this might be the opportunity he’s been waiting on for the last two decades. Kelsey is an interesting case. He played under legendary Lipscomb coach Don Meyer and was a key part of the 1986 NAIA national championship team. He also has head coaching experience after spending seven years at D-III Belhaven in Jackson, Mississippi. Since then, Kelsey has served as the director of basketball operations at LSU (2012-15) and as head coach of the Music City Icons (2017). He currently works at Ensworth as an assistant boy’s basketball coach and as an ambassador for CoachTube, an outlet that offers instructional videos for coaches. Maddux, who averaged 13.7 points per game for Vanderbilt from 1994-98, was a candidate to land on West End before the Commodores hired Bryce Drew in 2016. If Maddux wants to enter the college coaching ranks, a smaller school like Lipscomb makes for a more logical entry point. He’s been the head coach at Christ Presbyterian Academy since 2006 and has led the Lions to two state championships. Maddux also runs a series of Nike Elite camps in the summer, and he appears on 104.5 The Zone regularly to analyze college basketball. Pierce is a bit of a dark horse candidate. He graduated from Lipscomb in 1994 and is college basketball’s all-time leading scorer. Pierce now coaches at Franklin Road Academy, where two current Bisons – Kenny Cooper and Rob Marberry – played for him. The Panthers run a high-tempo offense similar to what Alexander installed at Lipscomb. But Pierce’s lack of college coaching experience probably makes him a long shot.